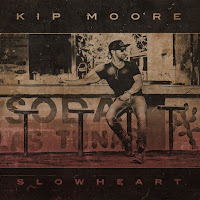 September 8th saw the release of Kip Moore's latest album Slowheart. 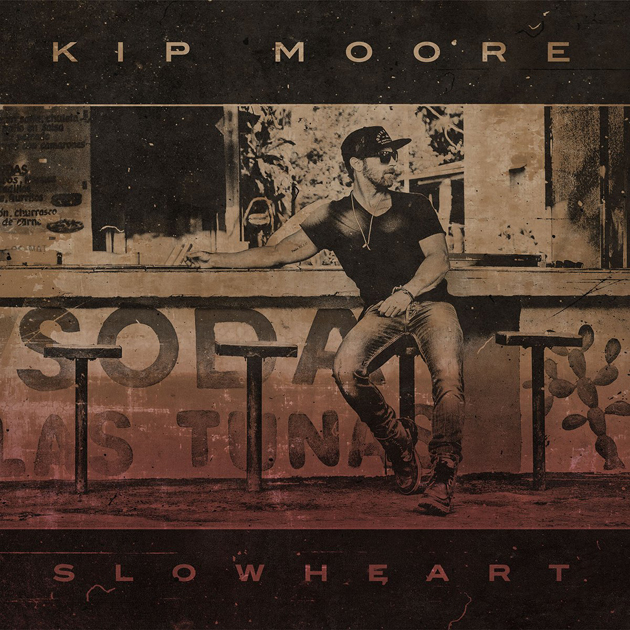 Arguably one of country music's most under-rated male artists Slowheart's largely successful selection of tracks is sure to leave you wondering why that is, Kip's passion for the music clearly evident throughout each song on the release and his distinctive tone is showcased well. Interestingly this release is the first time listeners will have heard any songs not co-written by Kip himself included in the track listing - in this case we have Plead The Fifth and The Bull. Both songs were released digitally before the album was released and initially it was The Bull that really drew me in but as I have listened to the album more I have also found myself listening to Plead The Fifth with increasingly regularity. Kip often favours a guitar hook in his tracks and The Bull is no exception, a guitar hook being used as the main instrumental lead through each verse. The production differences between the verses and choruses are distinct but it works very well, the verses setting the overall sound and anticipation for a relatively short chorus that 'lets rip' with a punchy vocal delivery. The line "every knock down in the dirt, every no I ever heard, sure feel good to laugh when I look back and flip the bull the bird" seems to sum up the whole track well, it's full of gutsy attitude which Kip delivers incredibly successfully. Plead The Fifth is one of the rockiest tracks on the album and toes the line of almost being overbearingly rocky - particularly when you compare it to other tracks on this album and on past releases - however the gritty edged song works surprisingly well, bringing another dynamic to the typical breakup track. Plead The Fifth is a catchy track that might not immediately draw every listener in but is likely to see more and more returning to it as the album gets older. The disdain oozing throughout Blonde is an intriguing topic to tackle but the overall result is pleasantly surprising, the track ultimately being one of the strongest on the album in my opinion. Kip's distinctive tone sits comfortably within the framework of Blonde, it feels as though he channels just enough emotion through his vocal delivery to really bring the track together. The Blonde as a whole brings a different dynamic to the album and is a distinctly appealing track to listen to, the guitar and drum led production offering a compelling backdrop to a song that is all about the lyric. There were a few tracks that stood out for me throughout Slowheart but my favourite would undoubtedly have to be Last Shot. Grounded by a chorus that urges you to turn it up and sing along, Last Shot brings together a really sweet lyric, strong vocal delivery and a solid instrumental base to create a moment within the album that will certainly have me returning it it time and time again. It feels like a perfect fit for Kip's vocal, a real gem of a track! I always welcome the slower, incredibly emotive track that Kip chooses to close his albums with but unfortunately I have yet to really connect with Guitar Man. Compared to Faith When I Fall and Comeback Kid (and Wild Ones' penultimate song Running For You) I feel like Guitar Man misses the mark slightly which is a real shame because Kip always delivers the more heartfelt, emotive tracks incredibly well. This is not to say I don't like Guitar Man, the overall package has simply not drawn me in as much as I had thought it might. Interestingly I stumbled across this video before the album was initially released and acoustically Guitar Man is a gorgeous track which Kip performs with a talented ease, which leads me to believe the studio production choices are what took some of the spark away from it for me. Overall Slowheart is undoubtedly a very successful album. 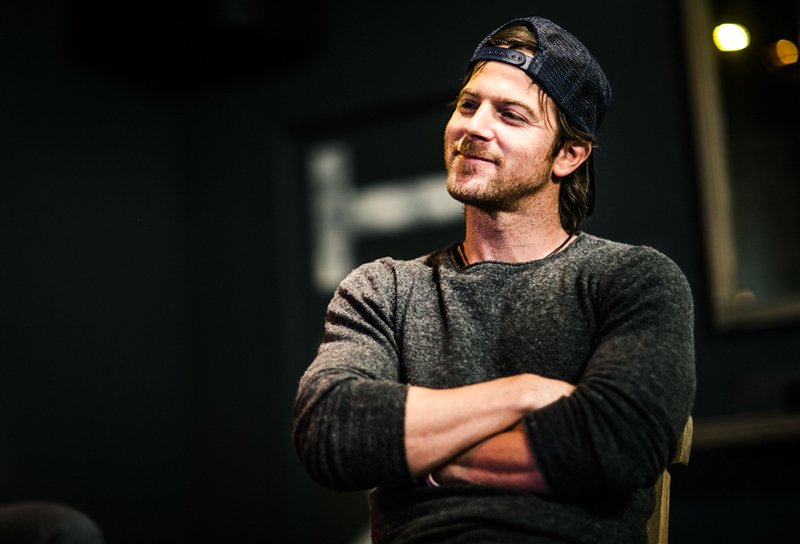 I've recently seen Kip's music described as Heartland Rock and I think that sums his style up well - this is certainly not an album for fans of the more traditional side of country music - and it is undoubtedly an album that proves what a talented artist Kip Moore is. I have tried listening to other albums from other artists in the month since Slowheart has been released but I regularly find myself returning to the embrace of an album grounded by - even in it's rockier moments - emotive tracks and controlled by an artist with a strong, distinctive tone. Definitely one for the record collection!